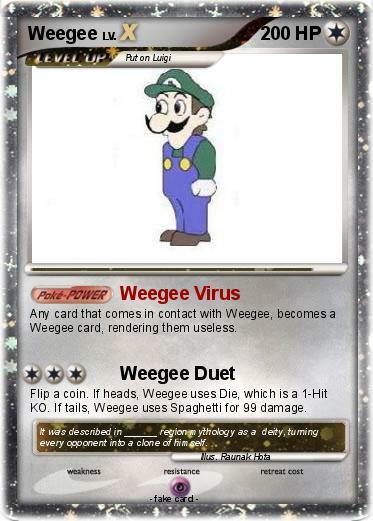 Any card that comes in contact with Weegee, becomes a Weegee card, rendering them useless. Flip a coin. If heads, Weegee uses Die, which is a 1-Hit KO. If tails, Weegee uses Spaghetti for 99 damage. Comments : It was described in ______ region mythology as a deity, turning every opponent into a clone of himself.